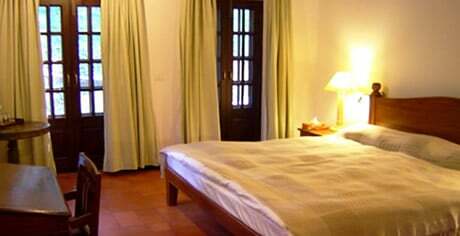 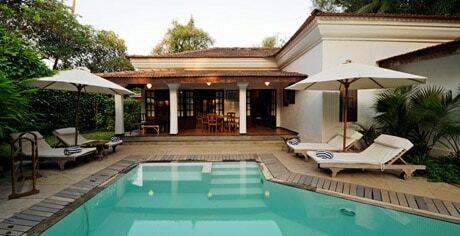 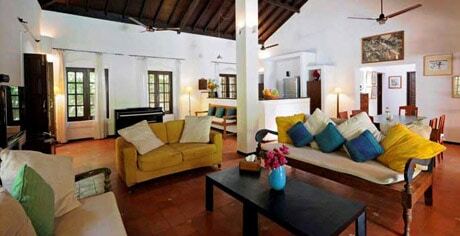 This is a recently restored and renovated Portuguese villa and is walking distance from one of the best beaches of North Goa. 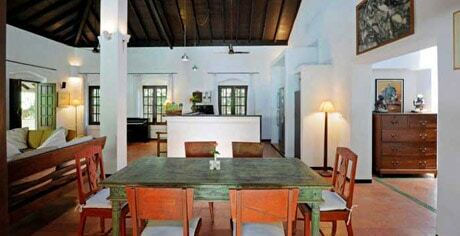 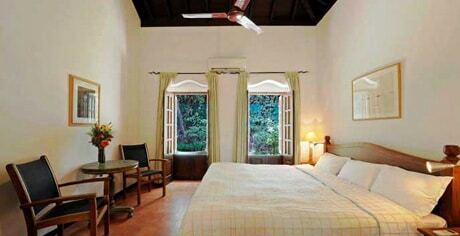 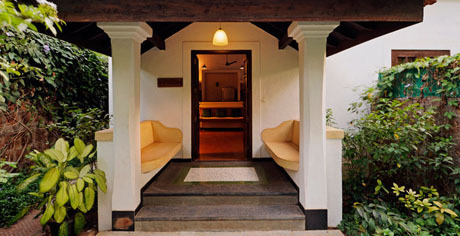 Elements of its past show in its high ceilings, wide verandahs and classic porch. 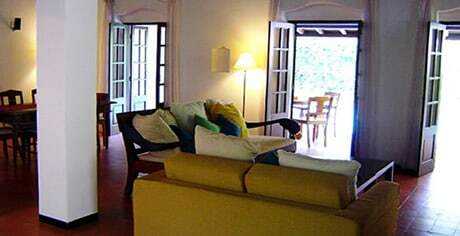 The villa has all the modern amenities including a mosaic private pool swimming, fully equipped kitchen and an open plan design that contributes spaciousness and ultra comfort to your stay. 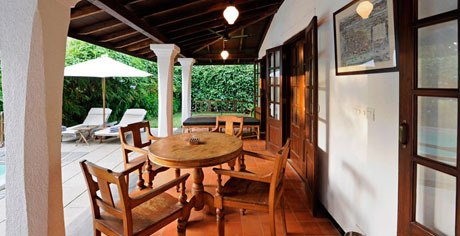 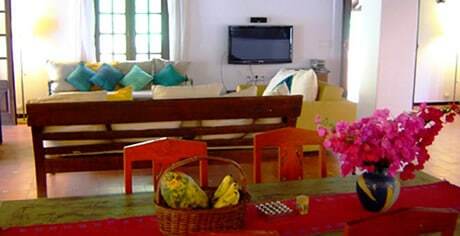 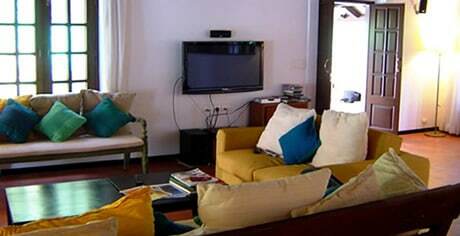 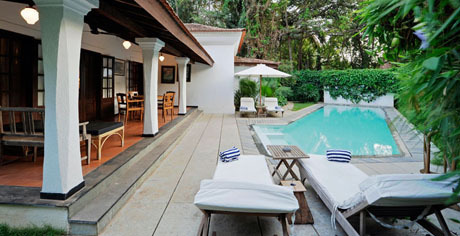 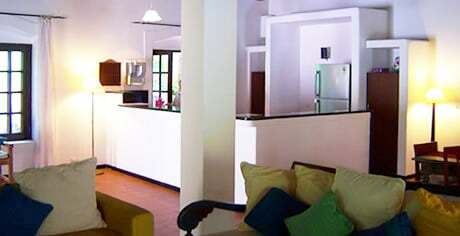 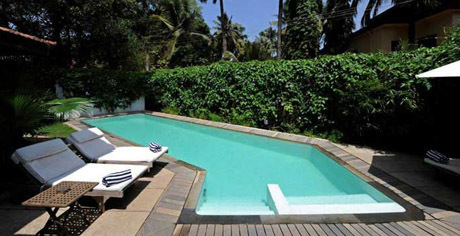 The villa is walking distance from the beach and is surrounded by palms and lush greenery. 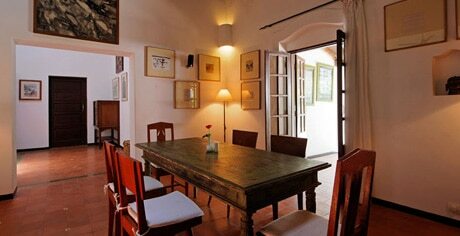 Terracotta tiled floors complement the soft white walls while dark wooden frames enhance double doors and wide windows. 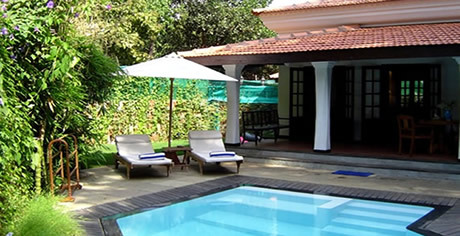 All three large double en-suite bedrooms have individual access to the pool.